awards | Search Results | RicksBlog.com Home of "The Domain King®"
Just a reminder that nominations must be in by 6PM today. Ballots MUST be emailed to nominations@targetedtraffic.com to be counted. Posting here does not count. If you sent you nominations between 8AM and 11AM on Wednesday, please resend as our mail server was down. T.R.A.F.F.I.C. AWARD Nominations for 2013 are now open. Nominations will remain open until Friday. August 2nd at 6 P.M. EDT. Just hit return and email us your picks for 2013. We have added a few new guidelines this year to maintain the integrity of the voting process as the last 2 years were record breakers for voting. 1. Nominations must be made by a 3rd party - you cannot nominate yourself. 2. We reserve the right to limit the amount of nominees in any category. The T.R.A.F.F.I.C. 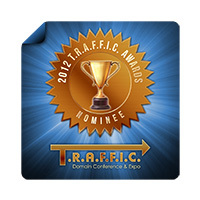 AWARDS have become the most sought-after and prestigious Domain Industry awards presented annually. This year marks the 10th Annual Awards. The Awards Ceremony is scheduled to take place at T.R.A.F.F.I.C. 2013, to be held at the Ft. Lauderdale Beach Ritz-Carlton Resort on Tuesday, October 22 2013. Ballots MUST be emailed to nominations@targetedtraffic.com to be counted. Posting here will not count. T.R.A.F.F.I.C. Awards Icons Now Available. We are in the process of creating a series of Icons for those that have been nominated for an award. They can display on their site if they wish to. Below are the first generation to get things going. But we are working on a few other things. For example, for past winners, we will provide you with a more customized Icon with it personalized for your specific award and year. Possibly even your name! This is just the first generation and Danny is working on many of these so that you can find the one that suits your site the best. I will be posting more TODAY. I will post them right here as they become available. 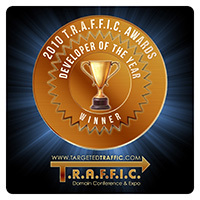 There is no link back required but would be appreciated to TargetedTraffic.com. We often talk about 'End Users'. So the first thing to accomplish that might be to build a road to something they can educate themselves about. Just a thought. Looks like many found the power they had and we have received a record busting amount of nominations. If my count is correct, 119 total nominations, with 101 different nominees, spread over 9 different categories. More than 900 nominations were cast among the different categories and that beats the record set last year. I want to congratulate all the nominees and the nominators! Well done!! Beginning in the days ahead I will start listing each category and the nominees. Normally I would release all at once but because of the amount of nominations we will be releasing 1-2 categories at a time so the nominees can all have their day in the sun and voters will have more time to digest the list and make an informed vote. Thanks again for your participation and Good Luck to all the nominees! And don't forget we will also present the First Annual Bandit Berkens 'Goodwill Ambassador Award' in October. More than 750 Votes Cast in T.R.A.F.F.I.C. Awards Balloting!! awards will be given out at TRAFFIC in New York City on October 28th. races but there has been a clear winner chosen in each category. congratulations to all the nominees and eventual winners. Job well done! Before TRAFFIC was born or slightly after, I had a special dinner in Asheville. There were about 10 domainers in attendance. Was a very memorable event and very special. Mike Berkens, Roy Messer, Howard Neu, their wives, and a couple others. I had wanted to do it again, but I started TRAFFIC and the "Richmond Hill Inn," open since 1886, home of the fanciest restaurant in Asheville, burnt to the ground. (Jewish Lightning, aka Arson) But what a memory!!! That was years before anyone really heard of Asheville as a destination. Today it is one of the coolest, hippest places in the USA and beyond. Some of the best most creative restaurants anywhere and named among America's top destinations in almost every survey done. The latest one was by Tripadvisor.com and got the #1 spot. If I tried to list all the top awards it gets as a city I would bore you. Top 100 places to live in America and dozens and dozens of others. A very special place. A few years later my mom called me. They were in Atlanta with their house trailer in the summer of 1985. It was 100 degrees hot. They wanted to know if there was somewhere they could go and maybe even cool off. So I told them about Asheville. This tiny "Vermont" looking town in the southern mountains with great summer weather. They went and never left. They left their trailer there and every summer for 10 years that is where they went. In 2004 I bought a condo there. From Realtor.com. Never even saw the place before I purchased. The realtor thought I was crazy. Maybe I was. But I used that place as a starting point to get familiar with the area and look for something more exciting. In 2005 I bought an 11-acre parcel with a large home on it. The house was owned and built by a New York to Palm Beach Socialite and her Doctor husband. They both died shortly after building this really well thought out custom home. It's a mix of North Carolina and Park Avenue. Not a good fit for a family in Asheville but a Perfect fit for me! It took 15 minutes to decide to buy it. And I have spent time there ever since. To my amazement, a town with a handful of mediocre places to eat at best started to attract many young chefs coming out of these culinary schools like Johnson and Wales and others, and it has now become THE foodie and Farm to Table capital. It's also the microbrewery beer capital of the east as well ranked just behind Boulder, Colorado which I love too!!. But back to Asheville, it's just a fantastic place. It's also home to the largest private house in America. The Biltmore Estate. 125,000 square feet on over 8000 acres. Asheville, a cool city with a cool summer breeze nestled in between the Smokey mountains of Western North Carolina. Famous Blue Ridge Highway goes right thru it and some of the best white water rafting is close by! 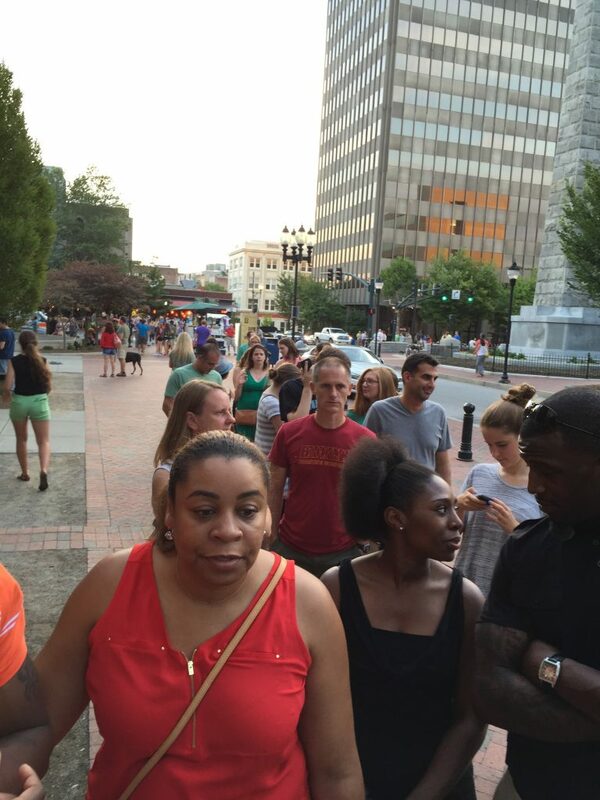 Asheville is homegrown. It's akin to Greenwich Village or Hate Ashbury but so much larger and more extensive with lots of southern hospitality. 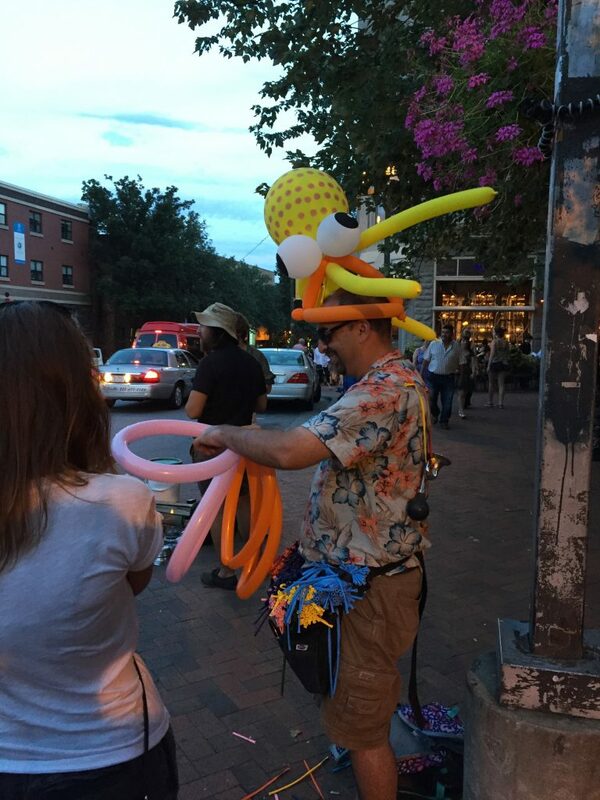 I love Asheville! Everyone falls in love with this place, and you will fall in love too! It's also a huge music town known for its history. According to Fodor's, "Their music scene is like nothing you have experienced." Here is a NY Times article about what to do with 36 hours in Asheville. It will challenge you! There is so much to do I hope we have time for domains!! The early evening line outside just to get into the best chocolate shop EVER! The guy at the door allowing folks in 1 by 1. 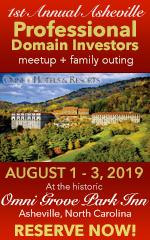 For years I have been thinking about an Asheville, NC Domainer Meet-up. But early on nobody ever heard of the place and it's not that easy to get to. I am not looking to work or start some business, just a "Dutch Treat" event in which like-minded professional domainers can meet, brainstorm together and pay directly to the venue wherever it is held. I can set the agenda and the venue but the rest is a group effort. Successful domain investors only who want to be more successful and talk at a higher level. This is a self-financed, non-profit event open to full-time domainers but not unlimited seating. A place with no outside NOISE! Tentatively, it would take place during the first-week f August. The evening of August 1st ending August 3rd. .I am sure some might stay even longer and make a real vacation out of it. Break bread, party a little, talk a lot, hang out and see where it goes. I am trying to decide what number to cap it off at. Too big won't serve the purpose, and I am not looking for a job. We are talking 3-4 dozen or so (including the spouse or significant other) not hundreds. It must be an intimate event for it to be of great value to those that participate. With this post, I intend to gauge the amount of interest (if any) and go from there. A couple of successful domainers are already on board (Mike Berkens, Roy Messer) Those are the only two I have asked their opinion until this post, and they are in! That was just yesterday. And if it is just the 6 of us, that's fine too! It will be great, and it will be memorable. I can't wait! Join us! 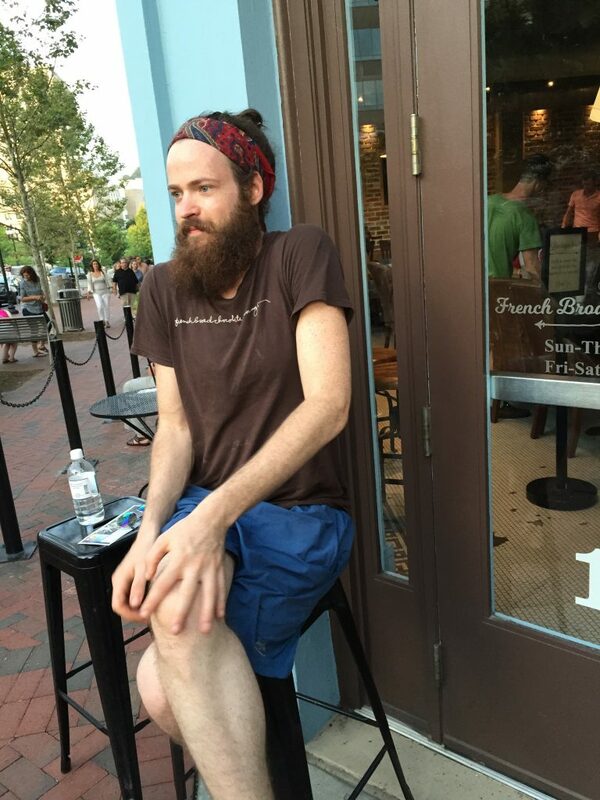 Until then, here are some more pictures of Asheville. Let's take over there city and have some great fun!! TRAFFIC 2013, One for the History Books! TRAFFIC 2013 is winding down and from all accounts, may have been one of the best TRAFFIC shows to date. I even enjoyed it. It was fun, light, serious, passionate and LOTS of business was done. Business you will be hearing about well into 2014. I want to personally thank each and every attendee for coming and not only hope we met your expectation but exceeded them. And of course I want to congratulate all the award nominees and the winners for each category. Well done! I expect by Friday to post the Schwartz/Shilling Tag Team Match right here. If I told you that we had record voting today it would be an understatement. There have already been more votes cast today than the 2 previous RECORD years combined and maybe all the other years added together. Our 10th annual awards are a great success because they are YOUR CHOICES. There are THOUSANDS of votes to count. It has been quite overwhelming. Congrats to all. WELL DONE!!!! T.R.A.F.F.I.C. Ballots Going out Tonight. Price Increase on Sunday. The official T.R.A.F.F.I.C. voting ballots for this years awards will be going out shortly after midnight tonight. You must be on our mailing list to vote or for your vote to count. Nominations were open to all and posted here a few weeks ago. Those are YOUR nominees for the 10th Annual 2013 T.R.A.F.F.I.C. Awards. Awards will be presented on Tuesday October 22nd at the Ritz Carlton in Fort Lauderdale, Florida. You MUST be on our mailing list to vote. It's easy to be added to the list. Just post or send me an email. Congratulations and good luck to all nominees!! And just a reminder that prices go up on Sunday for this years show. So register today. Just a little housekeeping today. Most of you have already been informed of the nominations but need to post it here for the record. Same with the next post I will be making about the 2014 and 2015 shows. Been widely distributed, but also need to have it here on record for the record. 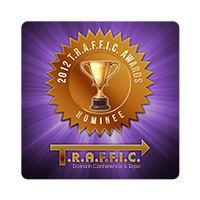 Last week you selected the domainers and companies that stood out over the course of the past year and beyond. Below are YOUR nominees for the 10th Annual 2013 T.R.A.F.F.I.C. Awards. Official voting ballots will be emailed to you within the next few weeks and awards will be presented on Tuesday October 22nd at the Ritz Carlton in Fort Lauderdale, Florida. You MUST be on our mailing list to vote. It's easy to be added to the list. Just post or send me an email. Again, Congratulations and good luck to all nominees!! Well done! Here are the past winners. 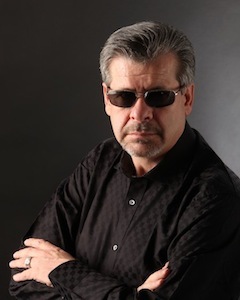 Rick Schwartz, aka "Domain King" and "Webfather", is the CEO, President and Cofounder of T.R.A.F.F.I.C., the premiere domain conference for the domain industry. T.R.A.F.F.I.C. has held shows in the USA and venues around the world, from Milan to Amsterdam, Vancouver to Dublin and Gold Coast, Australia. More than 25 shows since 2004. As one of the early domain pioneers dating back to 1995, Rick has a knack for predicting big trends and getting it right. He may have been the first to recognize the value of "Type in" traffic which is now commonly referred to as "direct navigation” - the most potent and targeted traffic on the net. Rick has a prime portfolio of one and two word domains, and is considered by many to be among the leading experts on domain names, traffic, website flow and valuation. Besides owning eRealEstate.com, Candy.com, Property.com, Properties.com, Tradeshows.com, ChristmasCarols.com and some 9000 other domains, Rick is also an accomplished businessman in several other industries including furniture, lighting and advertising. He ran one of the most profitable and efficient home based businesses with no employees back in the early 1990's out of a 10 x 10 bedroom. He sold that business for over 7 figures, freeing his time to devote exclusively to the Internet in 1998. Rick also sold men.com, a domain name that he bought for $15,000 in 1997, for $1.3 million in a cash deal that was finalized in May 2004. Many attribute that sale to jump starting the domain space at a time considered the lowest point the domain business has seen. It also cemented his main theory that "Domains would go up faster in value than any commodity or asset ever know to mankind." No stock, no land, no gold, no jewel has ever gone up faster and further in value. Since that sale Rick has sold Candy.com for $3 Million plus royalty and retians 10% ownership, Property.com for $4 Million with an equity stake and ebet.com for $1.35 Million cash. Rick also ran the first domain forum on the net in which the top domainers and sponsors in the world were invited to participate and join. His members read like the Who's who of the domain channel. It was known as the hardest website on the net to get into. While others begged for traffic, Rick and his members screened every applicant before they were accepted. The board was opened from 2000 until 2007. RicksBlog.com opened in 2007. Many of the thoughts and posts are the original ones from back as early as 1996 and the rest deal with his strongly held opinions on day to day business issues as well as life itself.